I spend a lot of time in the children’s section of bookstores shopping for my son, or for myself. Over the years, I have heard many parents and grandparents interfere and take control of what their child should read. Comments like “That book is not for boys!” or “Look, that’s a nice book for girls!” raise my hackles. When birthday parties roll around, the boys get neatly packaged anthologies like 365 Stories For Boys, Geronimo Stilton, Percy Jackson, or books on cars, magnets or dinosaurs. The girls, on the other hand, mainly get ‘girly’ books like the Illustrated Stories For Girls, Barbie books or Matilda. But they also get books like Geronimo Stilton, Harry Potter, Percy Jackson – books that even boys enjoy. How many boys do you think were gifted Pippi Longstocking or a Thea Stilton for their birthdays? I believe that every person has the fundamental right to buy books without any fear of judgment or reproach. This is especially important for young children – they should be able to explore literature freely. I believe this, I really do. So, it really frustrates me to see parents and grandparents interrupt this beautiful relationship children develop with books and stories. Yet, as I looked at my son’s burgeoning collection of Tom Gates, Wimpy Kids, Captain Underpants, and Stick Dog books, I found myself struggling. He was really testing my belief in giving him that very freedom I so cherish. I was worried because while these kind of books are not inherently bad or wrong, they are entirely about boys. None of these books has any significant female characters. Naturally, I have to wonder if there is any truth to this common belief that boys only read books about boys while girls will read books about boys as well as girls. Are boys unable or unwilling to extend their imagination to include a female voice and female point of view? Will an entire section of literature be lost to my son simply because of this prejudice? Look anywhere on the Internet and an alarming statistic stares us in the face. According to an article in the Guardian, from a sample of 6,000 books published between 1900 and 2000, only 31% had female central characters. In picture books for children, where many of the lead characters are animals, that number drops to a dismal 7.5%. And yet, a vast majority of children’s books are written by women. Why aren’t they writing about girls or female characters? I assume the answer is economics. They believe there simply isn’t enough demand for books like that. If an author knows that her young female readers will read her book even if it is about a boy, while her male readers might abandon her book if it is about a girl, it is likely that she would choose to write characters that guarantee her a wider readership. 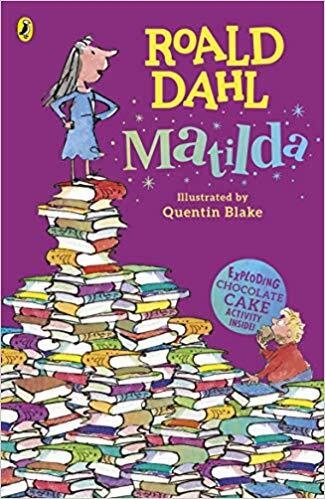 There are many articles and blogs by mothers of young girls who are understandably appalled by the lack of selection of female-centric children’s fiction. But, I think, mothers of young boys should be upset too. We live in a time where we are increasingly aware of and willing to talk about the issues women have been facing in society. The #MeToo movement and Government campaigns like Beti Bachao, Beti Padhao are ubiquitous and cannot possibly have escaped the notice of young boys. When you are a seven or eight-year-old boy, it is difficult to understand what all the fuss is about. Young boys might not always notice social iniquity, and books like Tom Gates and Diary Of A Wimpy Kid do not really highlight these aspects of life. So, it is difficult for them to fully understand the context of these kinds of discussions. And yet understand it they must because this is the world they have inherited. Society will program them to view the world a certain way and to view women in a particular manner. Boys might react to this by either feeling overly guilty, denying it, or becoming indifferent to it. None of these is a useful response. The only useful response is one that comes from understanding and empathy. This cannot be lectured or campaigned into a child’s consciousness. One way it enters and plants itself there is through powerful storytelling. If it is not the packaging that deters a young boy reader, it is the adult they are shopping with. 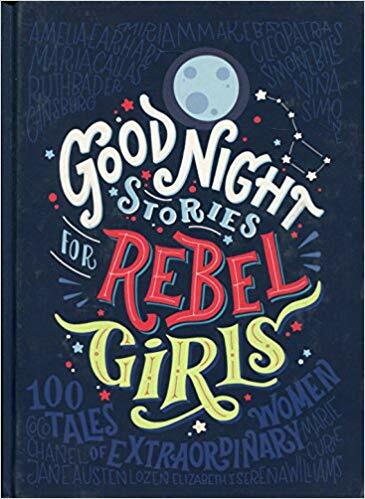 Once, I saw a young boy browsing through the pages of Good Night Stories For Rebel Girls, looking at the pictures and pausing to read the short biographies of these extraordinary women. 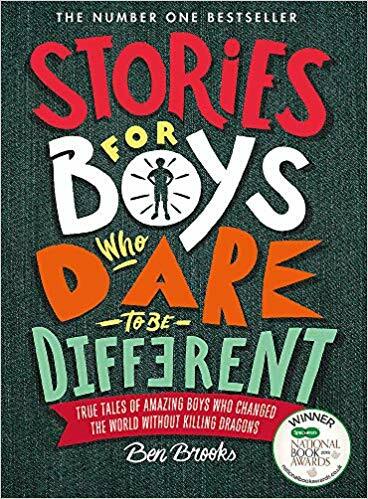 His no-doubt well-meaning mother promptly directed him to a book beside it, titled Stories For Boys Who Dare To Be Different, a collection of short illustrated biographies of extraordinary men. It seems to me that perhaps the issue is not that boys do not like to read about girls, but that adults seem unwilling to let them by either marketing it that way or simply by not letting them buy or explore literature in which there are female protagonists. At some point, we, as parents and educators, have to realise that we are doing our children a great disservice by buying into the marketing or falling for notions that some books are only for girls and others only for boys. We cannot really expect boys to miraculously grow into men who see girls and women as true equals if we constantly direct them to books that do not include strong and varied female voices. 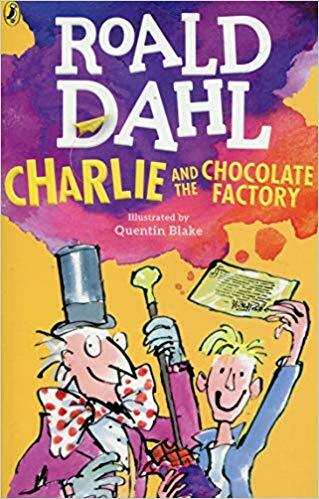 We absolutely have to give our children the freedom to choose their own books, even if it is not always sensible or particularly educational while we simultaneously encourage them to look beyond ‘girlified’ cover designs and illustrations. Gift your son or nephew a copy of Anne Of Green Gables in addition to Kim, or Matilda along with Charlie And The Chocolate Factory. Do not get discouraged if the book just sits there on the shelf, looking sad and neglected. One boring, rainy afternoon, your little boy might just pick it up in desperation and make a wonderful discovery. Do you think there are “girl” books and “boy” books? How do you deal with gendered reading at home? Share with us in the comments below. 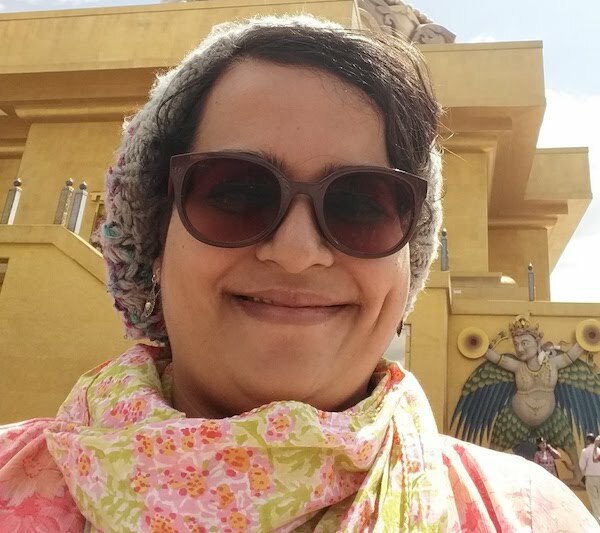 Saisudha works at a small democratic school in Bangalore where she 'teaches' history, economics and anything else the children are interested in. She loves her job and one of the reasons she loves it is because she can drag the books she loves into conversations and lessons she plans. When she is not working, she is either reading or listening to books and podcasts. She has a particular soft spot for historical fiction, creative nonfiction, but mostly children's literature - even picture books get her excited. Her favourites are any books by authors like L.M. Montgomery, E.B. White, Kate Di Camillo and Neil Gaiman. Nothing can beat the high she gets when a child comes rushing back to her with a book that she recommended, telling her how he or she loved it and why.